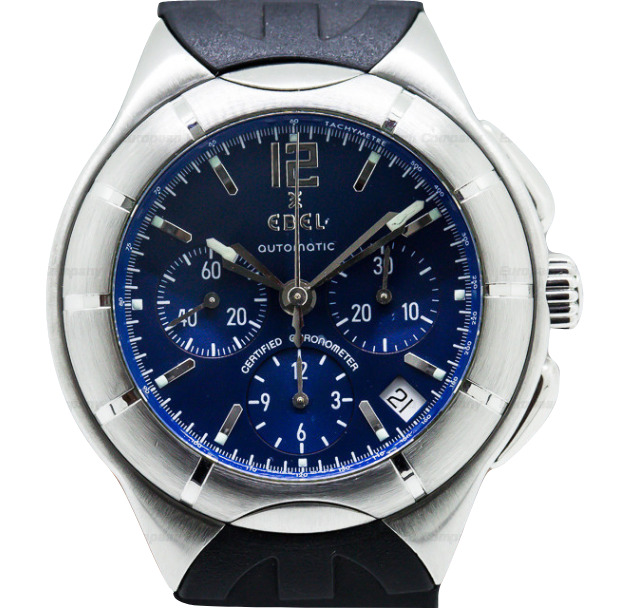 This watch is also known as: 9157C11-0716 , 9157C110716 , 9157C11.0716 . 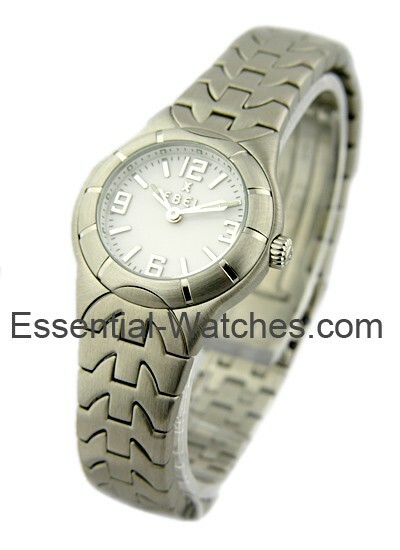 Ebel "E-Type Mini Ladies' Watch Stainless Steel White Dial. 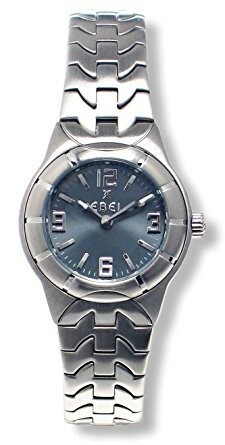 This unique perfect Ebel "E-Type Mini Ladies' Ref No:9157C11/0716 features a Brushed stainless steel Case and Bracelet.Fluted steel Crown.White Dial.Silver tone luminous Hand Indicators with Silver tone luminous Hour Markers.Domed scratch resistant sapphire Crystal.Precise Swiss quartz Movement.Case Width 25 mm (26.5 mm with crown)and Case Thickness 8 mm.Bracelet Width 13.5 mm near case (11.5 mm near clasp). 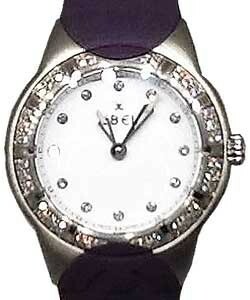 Double Locking Clasp.Water Resistant To 50 meters (165 feet). 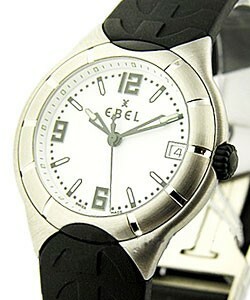 The Ebel "E-Type Mini Ladies' Ref No:9157C11/0716 is a highly recognizable timepiece with a very strong personality.